Anyway, if you’re unfamiliar with what a cruffin is…it’s a croissant-muffin hybrid. Where you bake laminated dough in a muffin pan! 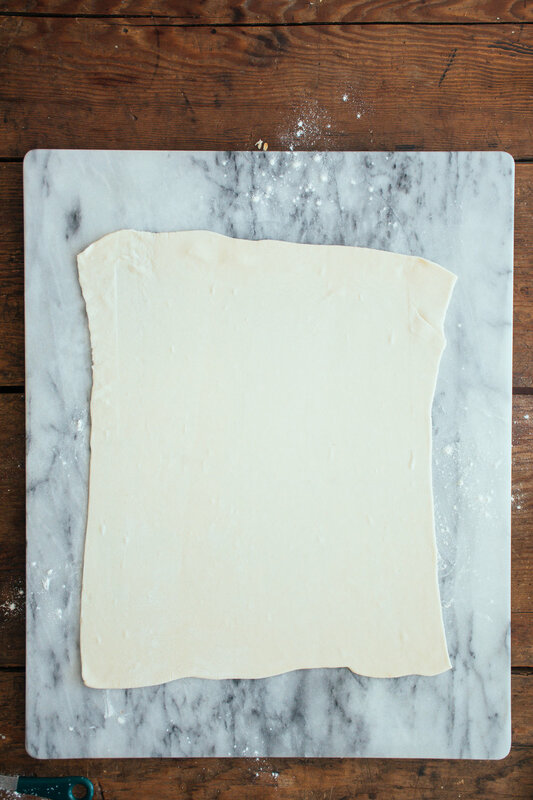 Now we are using pre-made puff pastry for our cruffins, which is the simplest form of laminated dough that there is. 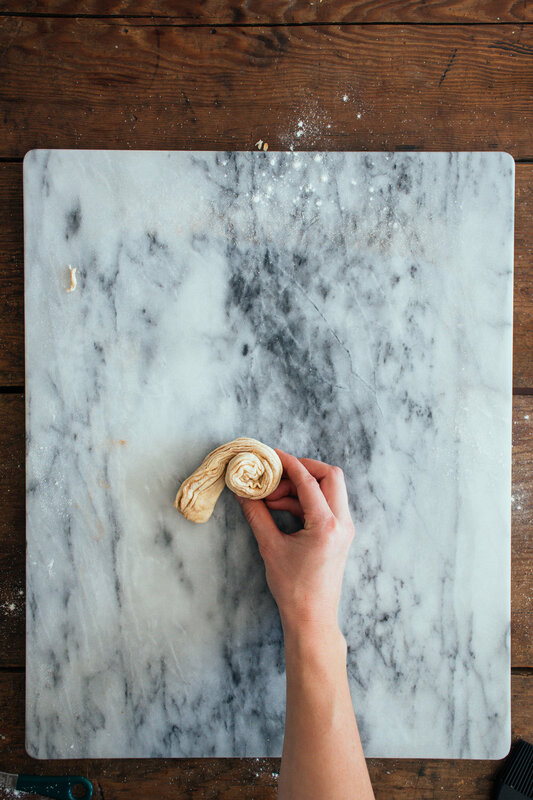 It’s not quite the same as croissant dough (which has yeast and milk in it to make it richer and more bread-like), but we loved how it turned out. 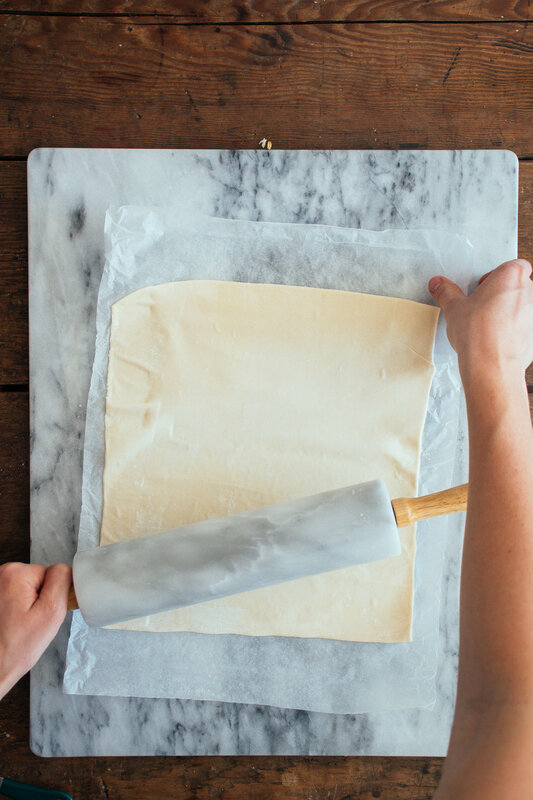 So, if you’re a pro and make your own laminated dough, feel free to use that. 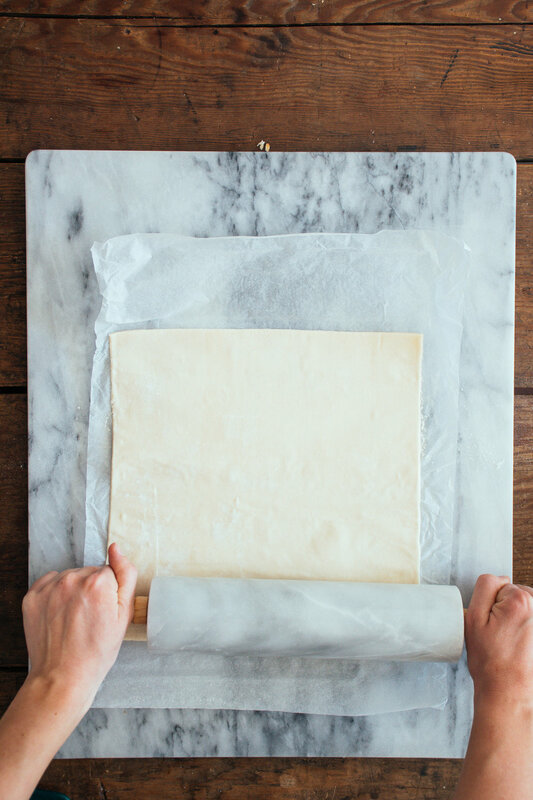 Otherwise, grab some puff pastry from the grocery store (it’s in the frozen section! 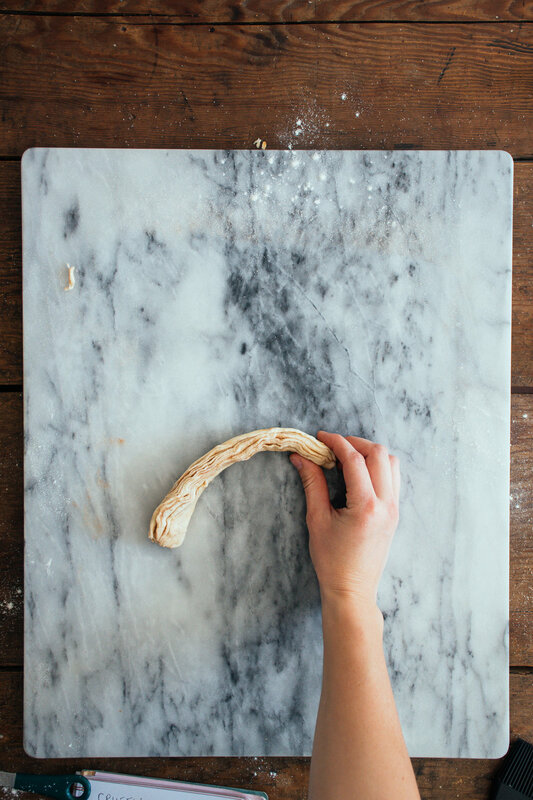 ), and let’s bake! I’ve included step by step photos below, so hopefully that makes things easier for you to follow. AND….I’ve even posted a video tutorial on my instagram here, so hop on over if you’d like me to walk you through the entire process with verbal and written instructions within the video. I just have to say….that this project was a labour of love, and a lesson in patience. We went through several trials of disasters and undercooked cruffins before we figured everything out! Which made it even more satisfying when we nailed it. 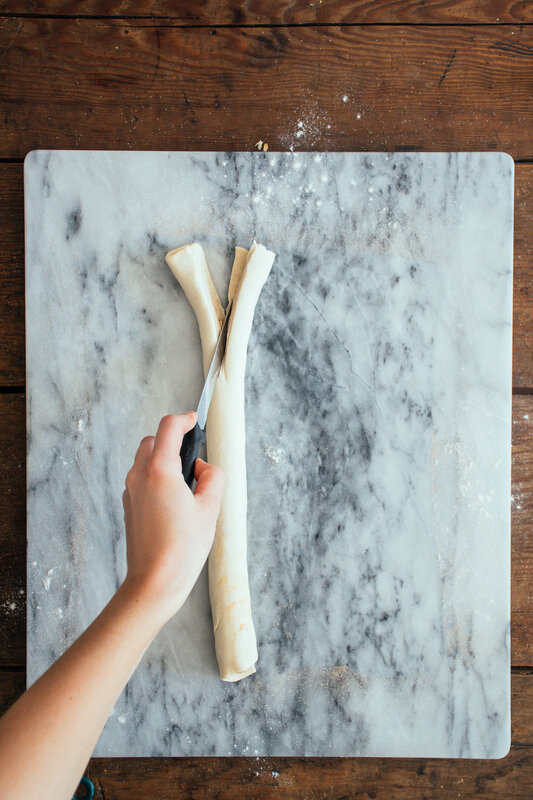 The key to getting these exactly right is by making sure you bake them for a LONG time. Seriously, you want the top to be completely golden brown. You can’t really overbake these, and nothing is more disappointing than a gummy center. 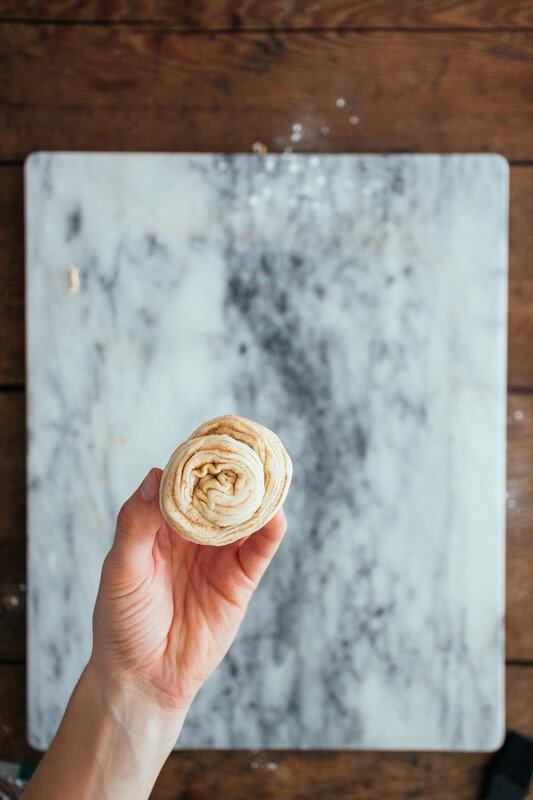 As always, we recommend that you try a test cruffin in your oven and make sure that you get the right baking time for you, before baking the rest of them! Now, go forth and make cruffins! Preheat oven to 375 degrees F, and lightly grease 8 spots in a muffin tin. 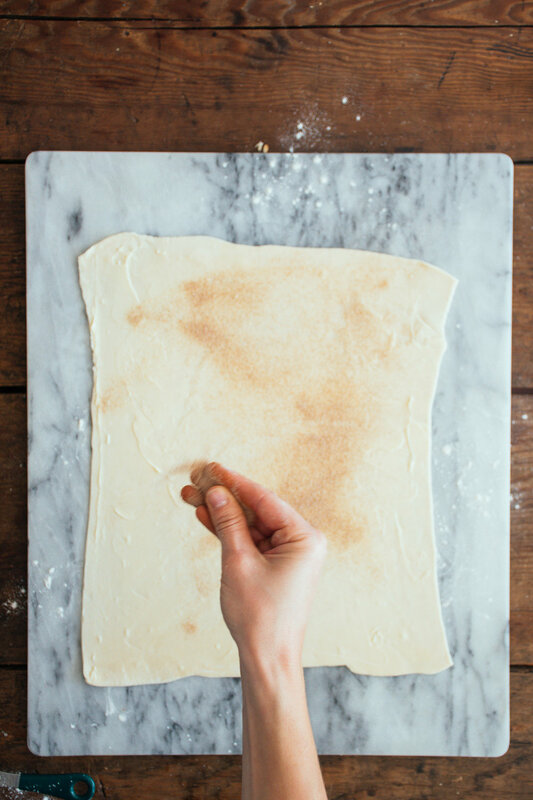 Spread 1-2 tablespoons of softened butter onto the sheet of pastry, you want it pretty thin, but enough so that the cinnamon sugar filling will stick. Sprinkle with the cinnamon sugar mixture until evenly coated. 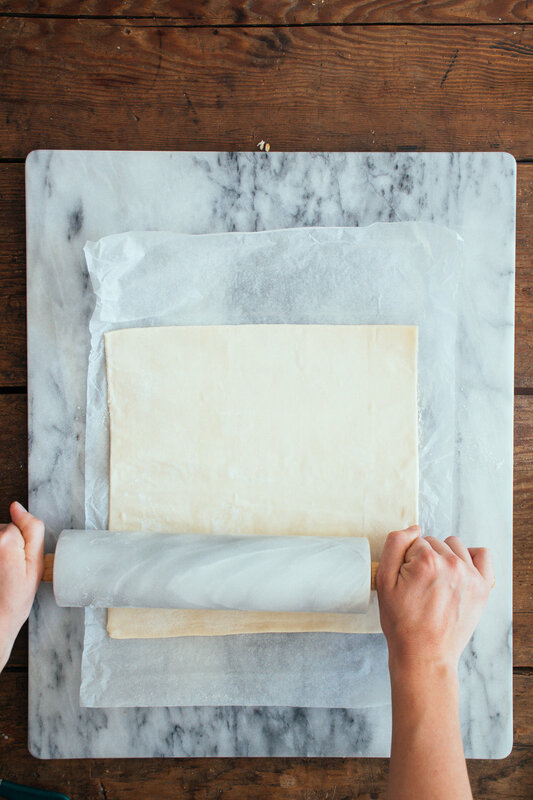 Working from the long edge, carefully roll it up as tight as you can. 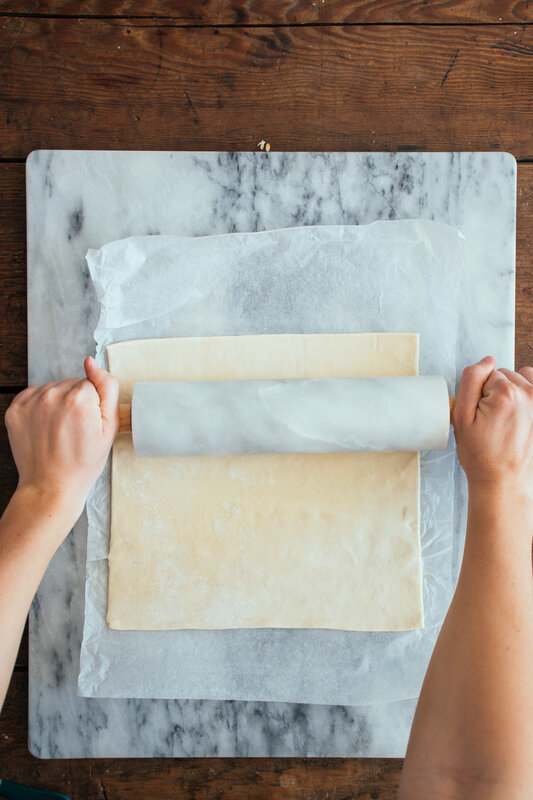 Slice the roll in half length-wise, and then cut each strip in half again. 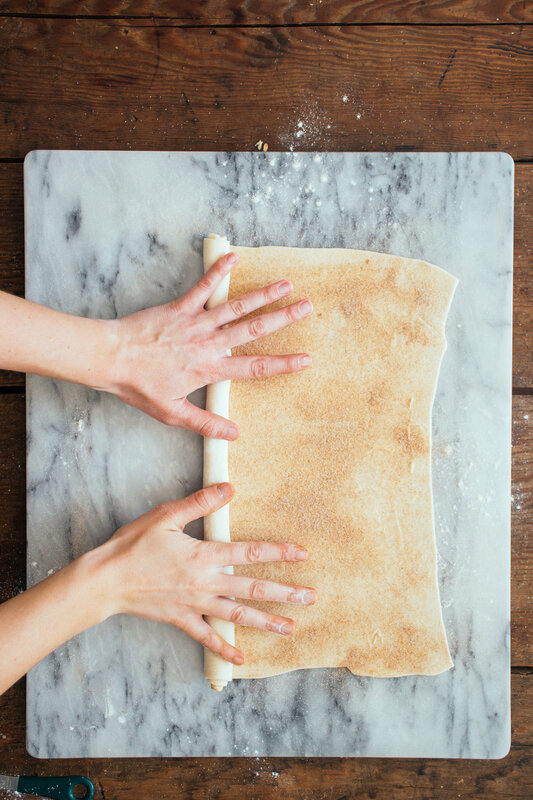 You should have 4 equal strips of layered dough. Roll up each piece like a snail and place into the muffin tin. You can also play around with the shape here, and try different twisting and tucking techniques. 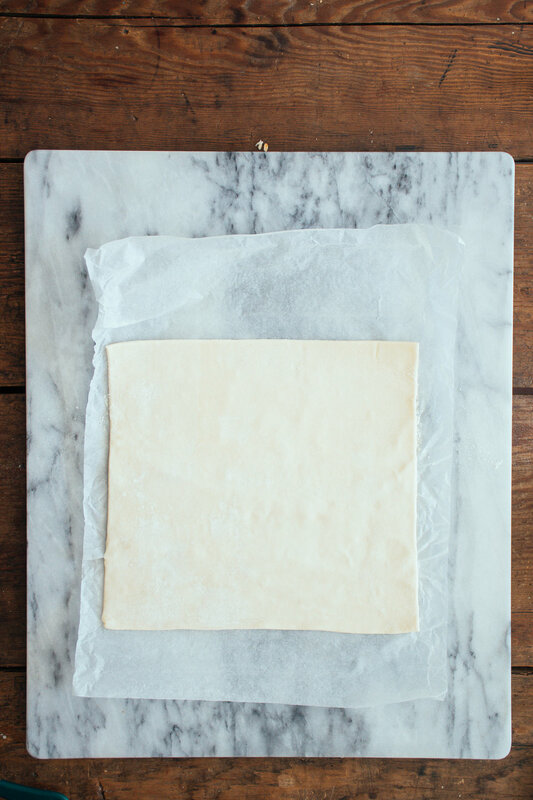 Repeat with remaining puff pastry sheet. Brush the tops of each cruffin with the egg wash, and bake for 40-50 minutes until they’re a very deep golden brown. Don’t be afraid of overcooking these, as they are better overdone vs having a doughy center. As always, I recommend doing a test cruffin to see how it reacts in your pan (we used a dark one) and in your oven. Allow to cool for 10 minutes before removing from the pan. 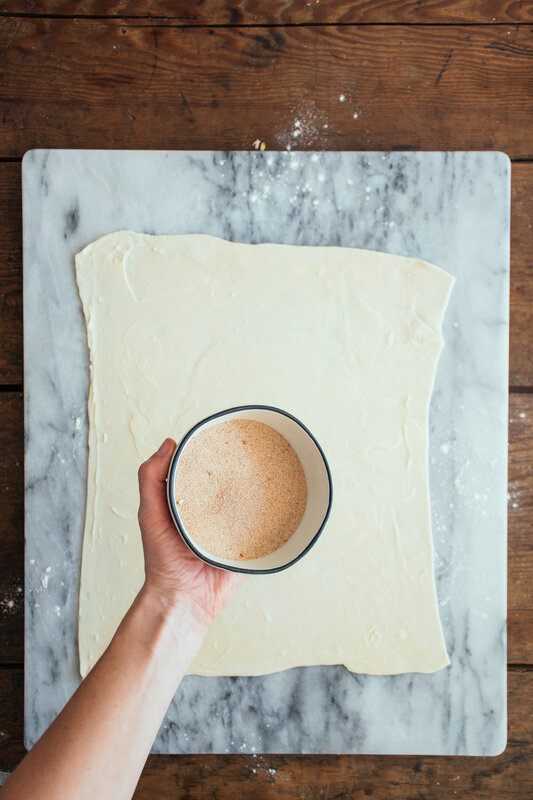 Roll each cruffin in the remaining cinnamon sugar mixture until completely coated. Serve on it’s own, or with ice cream, jam, lemon curd, etc. Best enjoyed the first day!